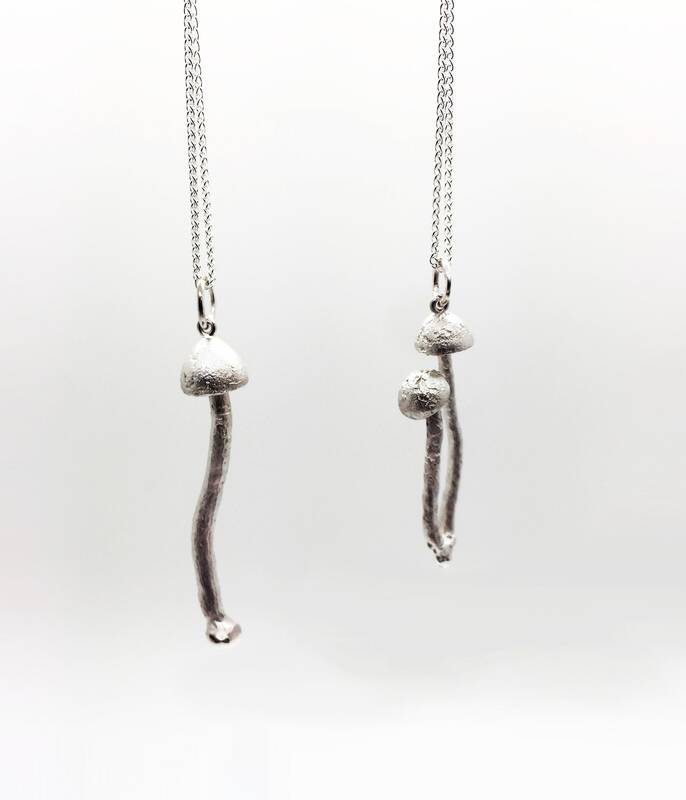 Our Magic Mushroom pendants are the ultimate gift to celebrate the utterly mesmerising world of fungi. The pendant is solid silver and finished by sand-blasting the surface to show the mushrooms incredible detail. 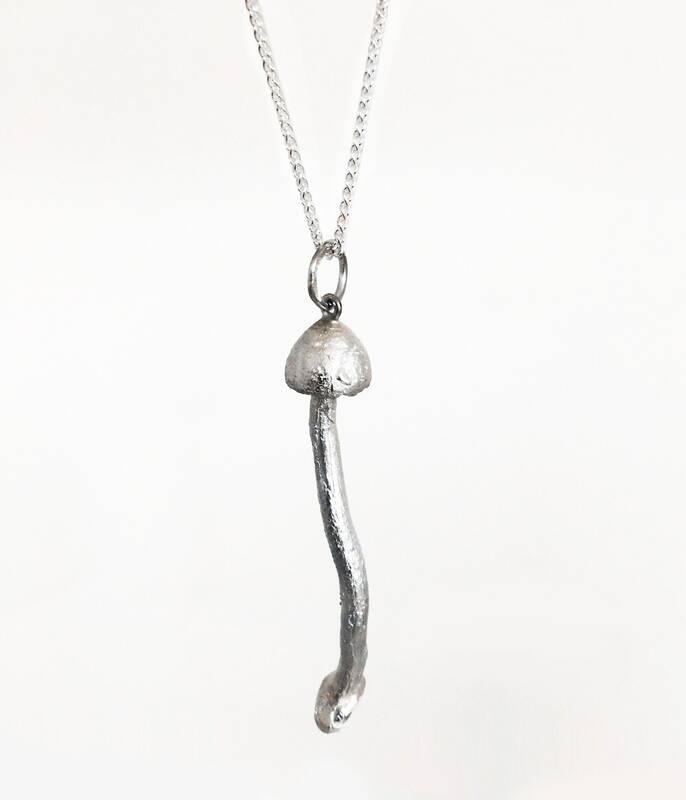 Whether you enjoy autumnal walks or you love the magic of mushrooms, this pendant is perfect for all occasions! * This pendant comes with a complimentary 18 Inch spiga chain (as shown in photos). If you require a chain of specific length, weight and/or style, then please contact us directly and we are happy to accommodate if possible.